Open to all MDC Hialeah Campus students, the Student Interdisciplinary Symposium aims to promote scholarship and research, and in particular, interdisciplinary collaborations. The goal of this annual Symposium is to provide an opportunity for “future scholars” to share their explorations, discoveries, and reflections with their peers and the broader academic community. The Symposium features poster sessions, round table discussions, oral presentations, and information tables. The theme of the 2019 Student Interdisciplinary Symposium is: Politics of Identity and will take place at MDC’s Hialeah Campus on Wednesday, March 13th. 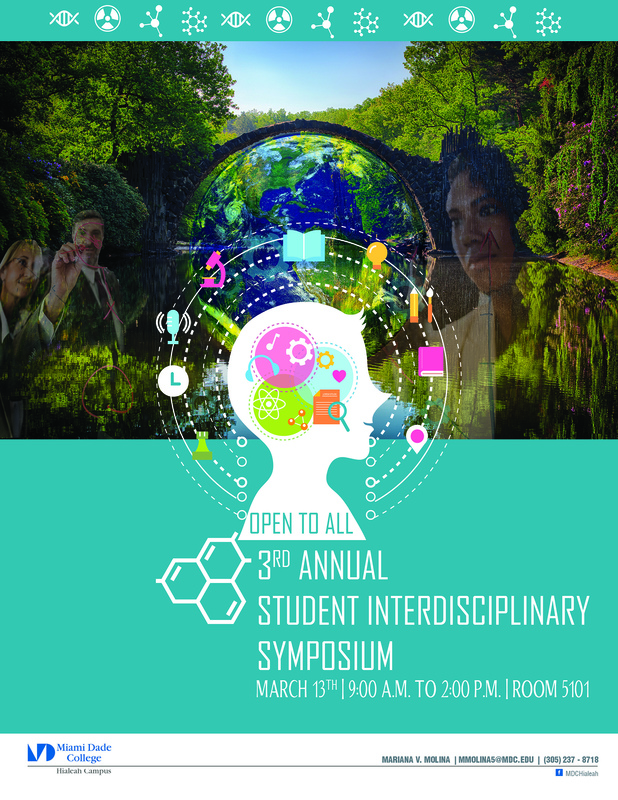 All students are encouraged to submit their work for inclusion in the Student Interdisciplinary Symposium. Any student wishing to have their research project included may due so so long as it meets with the symposium requirements. The symposium will feature poster sessions, round table discussions, oral presentations, and information tables. If your project does not fit into one of these formats, please contact Dr. Molina for additional possibilities. The presentation can be on a research project, Service Learning project, Honors project, or other scholarly work you are currently working on or have worked on in the past which you are especially proud of and would like to share. The project should relate to all or part of the symposium theme, Politics of Identity. All projects require that a member of the faculty mentor you through the process of research and preparation for the symposium. Specific guidelines on how to prepare your presentations are listed below. The deadline by which all projects to be included in the Student Interdisciplinary Symposium are to be submitted to Dr. Molina or Dr. Thomas Johnson is end of day February 6th. 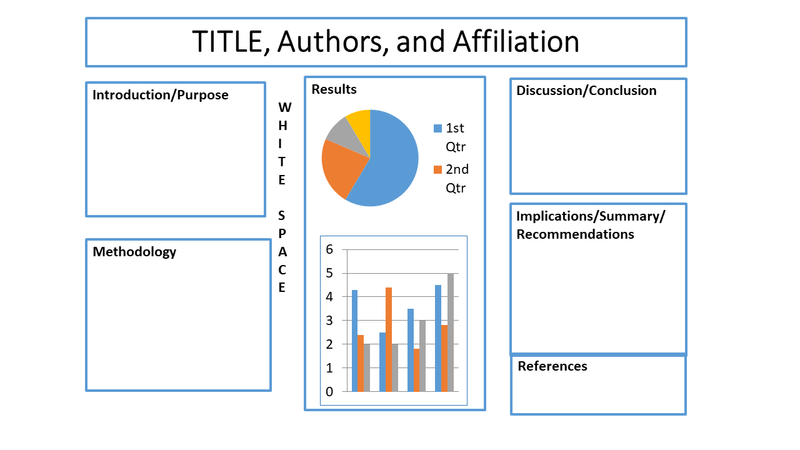 Some project types also require that an abstract of the research conducted be submitted by that date to Dr. Molina or Dr. Thomas Johnson by email. See the application form below for more details. Student projects should have been approved prior to the submission deadline by either their faculty sponsor or Dr. Molina. Submissions will be reviewed by the planning committee and final decisions will be made by Thursday, February 21st. It is recommended that you submit your abstract early as they will be accepted on a first come first serve basis. Please see the Student Interdisciplinary Symposium Application Form for additional Presenter and Project Criteria as well as Faculty Sponsor Criteria. Application forms are to be submitted to Dr. Molina or Dr. Thomas Johnson by email or in person in the Academic Offices, room 2314. There are a number of helpful online resources on writing abstracts, including Purdue OWL's Writing Report Abstracts. The tutors and librarians at Learning Resources are also available to help and review your work. Librarians at Learning Resources are available to review citations and assist with APA Style. Additionally, guidance and examples of APA style citations can be found on Purdue OWL's APA Formatting and Style Guide. For those unfamiliar with APA Style, The Basics of APA Style tutorial from the American Psychological Association will introduce you to the structuring, formatting, and referencing of APA Style.